By Dorothy Hill (Department of Geology, University of Queensland). On the morning of 2 May 1986, Edwin Sherbon Hills set off from his home in Kew, Melbourne, farewelled at the gate by his wife, for the University of Melbourne. He died on the way, minutes later, alone, of a heart attack. On the previous day he had written helpful replies to letters from several geologists in connection with papers they were preparing for a symposium to honour him on his 80th birthday. Australia lost one of its most eminent scientists and most accomplished geologists and his family their devoted husband and father. The manner of his passing seems to me to be characteristic, for he had a most independent spirit. He was of average height with an erect carriage, quick and deft and always neatly dressed; his hair was short and sandy, and he had a fresh complexion. Extremely independent and highly competent, he was bent on leading in his various chosen fields. He had the remarkable gift of proceeding straight to the heart of any problem, discarding irrelevancies and thinking in a well-organised way. As a geologist he was eclectic; he gave each branch of the science equal attention, saw how each was essential to the others, and invariably supported his arguments with evidence drawn from careful observations made in other branches. He strove relentlessly for perfection in his logical analyses of observations, then adhered to his formed opinion until he could convince himself that a different view was closer to the truth. He had a very high sense of duty. Born in 1906, his generation had tacit acceptance of Britain as the world leader; it was only in 1968 that he paid his first short visit to the U.S.A. He was not a clubman. He did not profess any religion, but his practical ethics were Christian and his manners those of a gentleman. He was innately conservative but capable of innovation. He was even-tempered, with remarkable self-control. He had a keen sense of humour, seldom displayed; disarming in his self-criticism, he could be devastating in his comments on others. He had an appreciation of music, and on field trips sang and played in a companionable way that was at first surprising to his students. Edwin was born in Carlton, Melbourne on 31 August 1906. His father, Edwin Sherbon Hills, Sr. (died Melbourne, 1958) and his mother Eva Blanche Hills, née Cameron-Toe (died Melbourne, 1968) were also born in Melbourne. Edwin Sr.'s mother and father, the latter a Yorkshire miner, had migrated to Melbourne, where the father died of miner's phthisis in his twenties. Edwin Jr. proved to be highly intelligent and helped his parents pay for his education by winning scholarships and exhibitions. He was dux of his primary school at Carlton from which he won a Junior Government and Entrance Scholarship to the University High School in Parkville, where he studied from 1921 to 1924. He was senior athletics champion, played in the cricket eleven and the football eighteen, and was co-editor of the University High School Record to which he contributed two poems. He had a love of the English language, being interested in etymology and the precise meanings of words. To this he may have owed his clear economical style. In 1924 he and his schoolmate Harrie Massey, later the distinguished physicist Sir Harrie Massey, won Senior Government Scholarships to the University of Melbourne. At the University both had brilliant careers. In first year, in 1925, their courses overlapped in Natural Philosophy and Chemistry. Massey was a class ahead in Natural Philosophy, Hills one place ahead in Chemistry. Apart from that they moved parallel, Massey taking First Class Honours and Exhibitions in Nat. Phil. I, II and III, Pure Maths I and II, and Chemistry II and III; and Hills in Geology I, II and III and Metallurgy I and II. He also took Botany I, Surveying I, French B and German A and B. He remained fluent in French and German, giving lectures at the Sorbonne in 1968 and coping easily with the German structural papers. In 1929 he was Kernot Research Scholar in Geology. Hills, like so many Australian geologists, had chosen his undergraduate courses with the idea of becoming a chemist and took Geology I as a suitable ancillary. His geology field excursions increased his appreciation of the Earth's physical features and the discovery that he was colour-blind probably contributed to his decision to become a geologist and physiographer; the defect seems not to have been much of a disability in optical mineralogy. In the 'twenties and 'thirties professors (then only one to a department) were very much all-powerful beings to students, and E.W. Skeats, Professor of Geology, was no exception. He housed the small geology library in his own room and students mostly felt it was not available to them. No so Edwin. He assumed it was his right to use it and did so freely. Later, when he became professor, he had the library expanded and housed more appropriately in a new wing. For Hills' two-year post-graduate work for his M. Sc., Skeats directed him to study the Cathedral Range some 64 miles NE of Melbourne. The work was galvanising to his research instincts. It led him directly into three of his major lines of research-fossil fishes, acid vulcanism and physiography. He regarded the Range as the source of his greatest intellectual pleasures, and when he died his family scattered his ashes over it. Hills found the Cathedral sandstones, previously considered Lower Carboniferous, to be unconformably overlain by a small thickness of thin shales and acid volcanics. Such Victorian volcanics, collectively known as 'dacites', were then thought to be Lower Devonian. But Hills found, in the shales interbedded between the two oldest of the flows, fossil fish remains. He attended Professor W.E. Agar's fish lectures, read available fossil fish literature and concluded, initially from illustrations in Zitel's Palaeontology, that they were Upper Devonian and different from the Lower Carboniferous fishes from Mansfield, Vic. described by Sir Arthur Smith Woodward. So, parts at least of the 'dacites' must be Upper Devonian. A granodiorite porphyrite he thought could be a sill; he listed it as Lower Devonian since it resembled the Victorian granites then thought to be Lower Devonian. Skeats was much impressed by Hills' intellectual capacity, his direct approach, his independence, his detached judgement and his ability to cut through trimmings and establish essentials. He went to great lengths to secure an 1851 Exhibition scholarship to the United Kingdom for Hills to hold at Skeats' old college, the Royal College of Science (now the Imperial College of Science) in London, where W.W. Watts was professor of geology. So, in mid-1929, E.S. Hills, M.Sc. (Melb.) began his Ph.D. work. This again was a tremendously stimulating period for him. He worked on his fossil fishes and on the petrology and mineralogy of the igneous rocks of his M.Sc. thesis area. He was a fellow post-graduate with O.M.B. Bulman, C.J. Stubblefield, W.F. Whittard and Howell Williams. One of his letters to Stubblefield later nostalgically recalled those halcyon days. As at all the major Australian and British universities of that time, staff provided students with the environment for study and expected them to use their initiative and independence in the development of their work. The system suited Hills' temperament admirably. Interested in all that went on, he attended meetings of the De la Beche Club and the Geological Society of London, took field trips with his fellow post-grads and attended field excursions in many parts of Great Britain, and in the Siebengebirge, the Eifel, the Black Forest and the Alps. He bought books avidly and acquired numerous reprints for his own library. His fish work was supervised by D.M.S. Watson of University College where he attended, with Whittard, Watson's vertebrate lectures. His petrological supervisor was Dr. A. Brammall; they differed about the identity of a mineral in one of his thin sections, Hills went up to C.E. Tilley in Cambridge for an opinion and Tilley agreed with him. At the British Museum Hills had the opportunity to meet and discuss his work with leading students of vertebrate palaeontology, including Sir Arthur Smith Woodward, Erik Stensiö (visiting from Uppsala), Anatol Heintz (Oslo) and Errol White. He studied collections in the museums and universities of Manchester, Cambridge, Edinburgh, Bristol, Paris, Brussels, Bonn, Basle and Zürich. He also met C.D. Sherborn, whose bibliographic cataloguing he much admired, and who thought (and Edwin agreed) that they were distantly related, though 'Sherbon' in Hills' case was spelt without the 'r'. He was taken by Sir Arthur Smith Woodward and Charles Dawson to the site of 'Piltdown man'. He thought the date given to the hominid did not accord with the physiography. As a side-line to all this intellectual activity, he received a medal, of which he was very proud, for completing the 52-mile London-Brighton walk within the allotted time. The first year he attempted it, he stopped to have a steak, got bad cramps and was unable to finish. The next year he notched the time of 10 hours, 11 minutes and 11 seconds - an average of five miles an hour and a real feat. His 'trainer' was the late Gordon Williams, subsequently professor of geology at the Otago School of Mines. Hills' Ph.D. thesis was approved, and he received the diploma of the Imperial College. His abilities were appreciated, with suggestions of employment in the midlands from Fearnsides, and at the British Museum. But Skeats had been moving heaven and earth, during the great depression of the early 'thirties, to overturn Melbourne University Council and Chancellorial decisions that staff vacancies should not be filled, and late in 1931 Edwin returned to a lectureship at Melbourne University, to begin lecturing in 1932. His love of country, Victoria in particular, and Skeats' strenuous efforts had brought him home, and subsequently he never accepted offers that meant he should live else-where. He remained, in his own words, 'forever grateful to Albert for his success with the Great Exhibition, the Crystal Palace and the 1851 Scholarships deriving therefrom'. While in London, Hills had met Claire Doris Fox. Born in London on 1 July 1910, Doris was the daughter of cellist John Fox, who was born and died (1919) in London, and Irene Amelia Loader, born Bristol, 1892, died London, 1949. They married in Melbourne on 26 July 1932. Their three children are: Elizabeth, B.D.Sc., L.D.S., Dip. Art, Dip. Ed., who teaches science and art in the Victorian Department of Education, is a professional artist, and has two children; David, B.Arch., who practises as an architect in London; and Richard, B.Ag.Sc., who runs his own business in Melboume. Edwin was proud of them. Edwin and Doris took a roomy house at 25 Barry Street, Kew, Melbourne, in which Doris still lives, and in which they brought up their three children. After Dr Austin Edwards, mineralogist and petrologist, and his wife returned to Melbourne from London, they shared this house with the Hills, and the two families and their babies lived in it in amity. Austin built a house, also in Kew, into which he and his family eventually, after ten years, moved. Hills' outstandingly successful personal relationships were those with his wife and family. Edwards marvelled at the way he kept professional pressures out of his family life. Doris after his death referred to their married life as loving companionship. The needs of his family were paramount in his thinking and no personal ambitions took precedence over them; and this caused sacrifices. Doris was a most friendly and gracious hostess; Edwin also was very hospitable, and dinner parties for his various friends and academic acquaintances were frequent. As lecturer, senior lecturer and associate professor from 1932 to 1944 Edwin carried a heavy lecturing load, giving courses at various levels in stratigraphy, petrology, engineering geology, and vertebrate and invertebrate palaeontology. He gave courses on physical geography to Economic Geography part I classes. He also lectured to outside bodies including the Institution of Engineers (geology of dam sites, bridge foundations and resources), teachers (physiography) and the Australian Broadcasting Commission (senior broadcasts to schools). He was a member of the Standing Committee of the Schools Board for geology and geography, and acted as first examiner in Leaving Honours Geography for five years. He received his D.Sc. (Melb.) in 1938, the David Syme Prize in 1939, and a Fellowship of Imperial College, London, in 1966. He was an excellent lecturer, particularly to the large first-year classes. It brought out the actor in him. He had an excellent sense of timing and a fine sense of humour (though usually at the expense of others). He was adept at blackboard sketches and cartoons, which made his lectures come alive. He spoke slowly in rather dry tones and the lectures were clear, concise and well-arranged, and their intellectual qualities were appreciated by all. It seems probable that all four of Hills' first choices for research were formed before he left London. They were Palaeozoic fishes, acid igneous action, physiography and structural geology. On the voyage home he took W. M. Davis' Die erklärende Beschreibung der Landformen. It appears that he had already determined to write two text-books. The first was the Physiography of Victoria along the lines developed by C.A. Cotton in his successful 1922 Geomorphology of New Zealand. While in London Hills had collected numerous reprints on structural geology; he read widely and combined the result with his experience in the field in his Outlines of Structural Geology. He often said, 'If you want to learn about a subject, write a text-book on it'. Among his many interests, Hills seems to have reserved a special place for fossil fishes. He would have spent more time on this type of research but felt that other geological problems were more pressing and that in Australia he was too isolated to be able to compete with workers in the large centres in the northern hemisphere who had access to extensive and growing collections, and who were able to meet frequently to discuss new advances. His interests in fishes were both stratigraphical and biological, and he saw clearly that the Australian faunas would ultimately provide the basis for more contributions in both areas. A a result, he kept in contact with students who showed interest in the group and in the last 10-15 years of his life saw a great expansion in the no. of Australia-based researchers actively publishing in local and overseas journals. He was particularly pleased to be able to add his support to an international symposium on 'The Evolution and Biogeography of Early Vertebrates' held in Sydney and Canberra in 1983. (1) Though he knew he would be unable to attend the meetings, he agreed to join the organising committee and to act as its contact with the Australian Academy of Science, which was one of the sponsors. It was his discovery of fish faunas in the Upper Devonian of central Victoria that first alerted him to their potential as tools for the solution of stratigraphic problems in that area. Having published his initial results in 1929 and 1931, his services as consultant were suddenly in demand for the interpretation of Palaeozoic fish remains from around the country. In addition to providing dating, he was able to indicate that the Australian Upper Devonian fish faunas were very similar to those of east Greenland, a conclusion that has been abundantly confirmed by later work on larger collections. His other taxonomic and stratigraphical work centred around Cainozoic freshwater faunas from Redbank Plains, Gladstone and Duaringa in Queensland, and the Warrumbungle Range and Cooma in New South Wales. Those from Redbank Plains he considered to be Oligocene (possibly Eocene) in age, and to include genera that were very close to extant Australian forms, as well as having affinities with genera and families from the early Tertiary rocks of the East Indies and North America. Such widespread freshwater types excited considerable interest, and he suggested that the early Tertiary continental fish faunas must have been widespread, and subsequently contracted their distributions. The diatomaceous earths of the Warrumbungles, which he considered to be early Tertiary in age, yielded many specimens of the extant Murray cod, Maccullochella macquariensis (Cuvier & Valenciennes). The extant freshwater fish of Australia therefore seemed to him to be representatives of groups that had been on the continent for much if not all of the Cainozoic, a view that fits well with current hypotheses. The more biological aspects of Hills' work were hampered by a lack of zoological training in his early years, but he set out with a will to remedy this deficiency. Nevertheless, a busy schedule of teaching and administration, together with his researches in other fields, prevented him from gaining the mastery of anatomy that he much desired. His two main anatomical studies were on the endocranial structures of the placoderm, Coccosteus osseus Hills (now Buchanosteus confertituberculatus (Chapman)) from the Emsian limestones at Buchan, Victoria, and the lungfish Dipnorhynchus sussmilchi (Etheridge) from Taemas, New South Wales and Buchan, Victoria. These studies were published in 1933, 1936 and 1941, before the techniques of acetic acid preparation and plastic impregnation had been developed. Wisely, he did not attempt the serial sectioning method of preparation that was being developed by the Swedish school under Stensiö; the material is too scarce to be lost by treatment of that kind, and the successful use of the technique requires time and technical support that were not available to him. What Hills did attempt was surface preparation with hydrochloric acid, and this was sufficiently good to allow a variety of new structures to be observed, leaving most of the specimens intact for further development when new techniques became available. He was able to show that the cranial roofing bone pattern in Dipnorhynchus was different from what was expected in a primitive dipnoan, if Dipterus was used as a model. He correctly interpreted the supraorbital and infraorbital lateral line canals as separate structures (they anastomose in Dipterus), but he misinterpreted the position at which the infraorbital canal turns ventrally around the orbit, and hence subsequent reconstructions of the primitive dipnoan skull roof were in error. This mistake was the direct result of inadequate preparation methods. Despite this, his interpretation remained the best available, and was used by Westoll and White in their reviews of early dipnoans. His interpretation of the endocranium of Buchanosteus produced new information on the parasphenoid, myodomes, subnasal and ocular shelves, and various cranial nerves and vessels. Some of his interpretations were at variance with the views of the influential Swedish school, and Stensiö even considered, quite incorrectly, that he could not distinguish between ventral and dorsal structures. Subsequent work by Young has shown flaws in some of Hills' interpretations, but many of them are essentially correct and have remained a useful basis for further work. His last vertebrate papers were published in 1958. It is significant that one of these deals with the use of placoderms to date the freshwater Upper Devonian sandstones in the Dulcie Range, Northern Territory; this is the very kind of work which first excited his interest in fishes. The other is of a different style altogether, being a review of Australian fossil vertebrates presented to the D.M.S. Watson Festschrift. It attempted to modernise the taxonomy of all the vertebrates, and he has the distinction of being the student who brought the importance of the Australian faunas to the attention of researchers elsewhere in the world. As he found himself differing during the writing of the book from earlier interpretations, he published lucid papers setting out his observations and the logical argument causing him to disagree. Perhaps his main concern in the 'thirties was with the Davisian evolution of plane erosional surfaces, or peneplains; he studied each surface (or palaeoplain) in its own right, firmly resisting sweeping generalizations. His book has had five editions and the last, published in 1975, took account of many new geological concepts. Hills took some pleasure in noting that their refinements could in any one area mostly be accommodated by giving greater weight to one or other of the trilogy. The topics he chose for detailed examination covered the Cainozoic basalts which, Hills realised, held the key to Cainozoic geomorphology, the Grampians, north-east and north-west Victoria with the Murray Basin and the shoreline emergence of Port Phillip Bay, where he concluded that differential erosion of Recent marine deposits was tectonic, but that a eustatic fall of sea-level may be suspected of contributing to it. In 1975 he noted that the latest drowning of Port Phillip Bay should have resulted in part from the Flandrian transgression (eustatic) but as a minor incident in a long history, and that there is evidence that the active subsidence of the Bay continued during the Pleistocene. He had accurate relief models of the country around Port Phillip Bay and Western Port Bay prepared, and they proved to be of great value in his interpretation; as also was a geological map of south-central Victoria on a scale of 1 inch to 4 miles, prepared by J.S. Mann and H.B. Hauser on the information supplied by the Defence Department and the Geological Survey of Victoria. Hills contributed five papers on shorelines. He concluded that two major and genetically distinct types of erosional surface could be recognised. One of these is the shore platform, whether sloping or horizontal, smooth or rough, which is best developed on promontories and terminates in a low-tide cliff. The other is the wave-ramp, often exposed in bays, which slopes gradually down from about high-water level to merge with the submarine slope near-shore. He substituted 'terrace' for esssentially horizontal surfaces that form parts of platforms, and extended 'platform' to include all identified elements of an erosional surface fringing cliffs and terminating in a low-tide cliff, whether the surface be sloping or not. In a no. of papers written for official and ANZAAS record, he presented his physiographic findings, mostly shortly after making them. During the late 'sixties and the 'seventies, a difference developed between Hills and Edmund Gill over the Victorian shorelines. Hills maintained that eustatism was relatively unimportant; Gill, that it was very important. Gill had carried out a long series of radiometric age determinations, and he presented perhaps an over-simplified eustatic explanation of the shoreline phenomena. Hills thought he was running with the bit between his teeth, and urged and tried to cause caution. Jenkin's 1981 critical review of the Victorian shoreline(4) shows that, while there is still no general agreement, data already collected indicate that it should become possible to identify both successive eustatic shorelines and local tectonic movements as far back as the Last Interglacial. Among the papers on Hills' desk after his death was the first draft sheet of recollections on 'How Dacitiology led to ring-complexes being observed in Victoria, Queensland and Nigeria and inferred in New South Wales'. While he was at the Imperial College of Science in London in 1929-31 he attended a lecture to the De la Beche Club by H. Hamshaw Thomas, one of the co-authors of the then newly published Ardnamurchan maps and memoir, in the light of which he began to think of his Victorian work. He speculated that the Marysville area of central Victoria whose rocks he was describing for his Ph.D. thesis (1932) might on further field work eventually be found to represent a cauldron subsidence area. He had already shown that the dacites of Victoria were Upper Devonian. Hills brought to this work and later to petrology exceptionally acute observation. A particular characteristic was his ability to recognise clearly problems at every scale, from small microscopic details to continental tectonics. One of his early papers contained lucid discussions on myrmekite intergrowths and another on zoning in plagioclases. His explanations of his observations were always very persuasive and in these as in other cases have been largely vindicated by much later workers. He further noted the occurrence and possible significance of the alumino-silicate minerals andalusite and sillimanite in granites; this again was in advance of his time. He clearly understood intrusive mechanisms and the applications of petrofabrics. His petrology was excellent, the accompanying documention including the stratigraphy and structure was accurate and detailed and his sketches and drawings were characteristically informative and clear. In these early (as in later) papers he recognised the co-magmatic association of granites and acid volcanics, the very large scale of eruptions and eruptive centres and the relatively shallow level of emplacement of the granites. None of these aspects was generally realised in his day. He showed that the magma chambers exhibited a vertical zonation of chemistry such as has been subsequently studied in detail in New Zealand and the western U.S.A. caldera systems. When he returned to Victoria in 1932, Hills began a long-term project to work out the detailed history of the central Victorian volcanics and plutons, using a base-map of the whole Taggerty, Marysville, Warburton and Healesville area (these last two having been the subject of an M.Sc. thesis by Austin Burton Edwards(5)). The area comprised three counties and the Lands Department maps showed only allotments, with magnetic bearings of the boundaries but no proper records of the date and magnetic declination. Most of it was State Forest or waterworks supply reservations, forested and blank on maps. In 1941 he published a short paper on a key area on Mt Dandenong, where a tuffaceous sediment gave the clue to the structure - a great monoclinal fold, the axis running SW and NE and being truncated to the NE by the Evelyn Fault trending ESE and WNW. Along and adjacent to the fault were minor intrusions of granitic rocks. Hills also worked on the petrology and geology of igneous rocks in other parts and ages of Victoria. His work on the Tertiary basalts was necessary for his physiographic studies, and exemplifies well his all-embracing geological thought. It was necessary to know the chronological sequence of the basalts, and this he achieved for the most part. A paper on the Woods Point dyke swarm placed them as early extrusions from the post-Tabberaberan (Middle Devonian) orogeny, and late Middle Devonian or early Upper Devonian. They were in place before the rock suites of the Cerberean and Acheron calderas developed. The Terricks Range and Lake Boda granites of northern Victoria rise out of alluvial plains and were described in 1941. He thought they represented a minor petrographic province, probably distinct from the central Victoria 'dacite' province. In the 1976 Geology of Victoria they are shown as Ordovician. Hills published two text-books on structural geology, the Outlines and the Elements. The Outlines, first published in 1940, has had three editions, the third (1953) being reprinted three times, most recently in 1962. It has had very great appeal and wide use, having been translated into Bulgarian (1948), Japanese (1949), Russian (1954), Chinese (1957) and Hindi (1970). Its lucid, economical style, clear definitions and excellent line drawings made the subject easily comprehensible. He was working desultorily on a new edition in 1985. The Elements, slightly more ambitious, was first published in 1963 with a revised edition in 1972 reprinted in 1974, 1979 and 1983. Its first Indian edition appeared in 1965, the first Russian translation in 1967, and the first Spanish one in 1977. As its author says, unless data are correctly diagnosed in the field, their geometrical processing is valueless. The stress in this book is therefore on the understanding of geological structures, though he refers throughout to well known methods of their representation and reconstruction. The 1972 chapter on structural geology was contributed by E. den Tax when he was on Hills' staff. In the preface to the 1972 edition, Hills noted that rigid-plate tectonics and ocean-floor spreading were remarkable concepts that must have fundamental effects on regional structural geology and on our understanding of global phenomena. The mid-ocean ridge system, with its displacement by transcurrent strike-slip faulting and its association with zones of reverse magnetization parallel with the ridges (age increasing with distance from the ridges) led to the concepts of ocean-floor spreading, rigid crustal plates and subduction of oceanic plates under the continental edges. After early papers on these topics had appeared, he noted that for the first time in the history of geology and geophysics, a great many major phenomena were linked in a consistent model of global tectonics, including also the formation of continental features such as orogenic belts and major fault zones with their seismicity. But many fundamental aspects required much further study, especially the role of convection currents in the mantle and the involvement of the mantle in the production of crustal rocks. Hills never came to full acceptance of the plate tectonics concept, as he could not envisage the nature of the energy that would satisfy the requirements to move such huge masses as the continental slabs. (9) Cozens found this attitude puzzling, believing that plate tectonics offered the mechanism for the formation of many of the regional structures Hills described. Hills published several papers interpreting structures in the Ordovician and Silurian sediments of Victoria in the light of his Outlines. Each was an exemplary classic, especially the one on the Silurian of Studley Park, Melbourne. With D.E. Thomas he wrote on cleavage and its distorting effects on graptolites, and on features in graptolite shale and sandstone sequences due to turbidity currents. After Japan entered the 1939-45 war in December 1941, Hills was a member of a small group of Australians - the 'Conlon think-tank' - which advised Prime Minister Curtin and General Sir Thomas Blamey. He was also attached to the Army with the rank of Captain, to obtain geological and topographical information of interest to the forces, particularly concerning the sparsely settled areas in the north. This led to a project, begun in 1942, to construct relief models of northern Australia with a scale of 1 inch to 1 mile and a vertical exaggeration of 1" to 1000 ft, financed by the Army but carried out under Edwin's supervision at the University of Melbourne. Data obtained from everywhere from explorers' journals to existing maps were used and Edwin travailed widely in the north to appreciate the problems. With the cessation of hostilities, the Army lost interest but Edwin determined to complete the model for the whole of Australia and obtained Commonwealth finance to do so. The final model was prepared in sections and when finished in 1954 it measured approximately 8 metres east-west. He based his morphotectonic papers on it. In 1985 it was displayed in the basement of the Commonwealth Archives building in Canberra. Hills' first paper on aspects of the tectonics of Australia was published in 1946 and was largely devoted to an analysis of the Precambrian of Western Australia and the Australian Shield. He noted the stable nuclei (blocks) and the relatively mobile zones of the Shield; the welding of the nuclei took place before the late Proterozoic Nullagines were deposited. Subsequently, the main zones of weakness, between the blocks, have repeatedly manifested themselves in movement up to Cainozoic tirnes, and the grain formed in the early Proterozoic structure has continued to influence later structures - a process he later called 'resurgent tectonics' . In 1947 in his presidential address to the Geography and Oceanography Section of ANZAAS, Hills noted that Africa and India had similar block structure, and that the two complementary orthogonal directions of the tectonic net of Australia were the same as in the world net developed by Vening Meinesz in 1947 for shear planes that would arise from a shift of the polar axis. In a later (1956) contribution, he noted that this would be a shift of 70° of latitude along the meridian of 90° longitude, and also that because the Australian block is everywhere underlain by Precambrian basement, we do not have successive folded belts being added to the blocks by alpine or other folding. He emphasized this in the Stille Festschrift in 1956, where he noted that most of our major faults, like the Peel Thrust, are upthrusts. In a 1956 paper, 'Die Landoberfläche Australiens', he observed that our eastern highlands comprise several intersecting blocks rather than one mountain arc, and are NNW-N in trends, with Neogene volcanic rocks in eastern Queensland. There are major NNE features in New South Wales and Victoria, intersecting minor NNW and others, with Palaeogene volcanic caps. He suggested a similar origin for the continental shelf and a 'Tasmantis' extension to the east and New Zealand during the Mesozoic. He noted the old erosion surfaces already identified in Australia but saw that the 'lateritic' surfaces were not all of one period and warned against over-simplification in peneplain discussions. Mesozoic surfaces were probably initiated in early Triassic times and affected an erosion surface that was already of little relief, but ranged in age probably through Triassic to Cretaceous. He concluded that King's 'Gondwana' surface was invalid in Australia. Tertiary surfaces were similarly formed by continual rising of the highlands and filling of the troughs. The old plane of the Lower Tertiary was later disrupted but the extent of the later erosion is very variable. In Australia neither the peneplain nor the pediplain concept appears to be strictly applicable; the peneplain seems closer to reality, because of the close adjustment of streams to geological structures. Hills' 1956 'Contribution to the Morphotectonics of Australia' discussed the ENE Darling Lineament and noted that megalineaments must be expected parallel to the Darling Lineament and its continuation the Redan Fault and the Anabama Fault, such a parallel is the great Charters Towers Lineament that stretches from Charters Towers to the Simpson Desert. The Murray Basin is a framed basin; and the Great Artesian Basin is dominated by prominent SSE and ESE lineaments marginally, but broken by other trends (NNE) within. In his 1960 William Smith Lecture, Hills gave to the Geological Society of London the epitome of this morphotectonic work. He paid tribute to Davis' explanatory description of landforms - genetic morphology which, by emphasis on structural control, Hills updated into 'morphotectonics'. He emphasized that Australia lacks alpine fold mountains but is characterised by block and lineament tectonics. He introduced the term 'resurgent tectonics' for repeated movement along older lineaments. Many of the old and long lineaments of Australia appear to be strike-slip (wrench) faults, e.g. the WNW Fortescue lineament along the course of the Fortescue R. in Western Australia, but none have any great displacement. Several important metal-mining districts lie on or near megalineaments. Under the heading 'Neotectonics', he noted that genetic physiography as expounded by Davis is, for geological purposes, fundamental. Finally, in 1980, in Paris, he discussed epeiric deformation in Australia. I have seen only an abstract of this paper, but it seems to be one of considerable importance. He concluded- that late Mesozoic and Cainozoic epeiric movements affected eastern Australia. In Queensland a series of arcs in the coastline relate to domical and fault uplifts of the Cainozoic, with vulcanicity extending to Recent. Within the continent the major topographic basins and elevated blocks are mostly polygonal in outline and occur in sequence in belts, Lake Eyre lying in a transcontinental series of basins extending from Bass Strait (submarine basin closed at-75m) for 3,000km to Lake Woods (Northern Territory). The epeiric movements involved in block elevation or depression are late Mesozoic to Cainozoic, but older geological basins lie beneath topographic basins indicating persistent depression, while some elevated blocks correspond with ancient geological basins (Kimberley Plateau). Some trends now resurgent originated in the Precambrian, but especially in eastern Australia, new trends were formed from Palaeozoic to Late Cainozoic. The southeast highlands are now in E-W compression, seemingly generated by limited under-thrusting of oceanic crust in the Tasman Sea, beneath the continental margin. Geophysical cryptolineaments and regional patterns are spatially related to morphogenetic features . Hills' physiographic background, derived from Davis' genetic physiography (structural geomorphology or morphotectonics) distinguishes his work. It appears to many that his morphogenetic work will be the segment of his research that will stand highest longest. It has proved very useful in exploration for ore-bodies as discussed in the next section. Hills saw economic geology as geology's main service to the non-academic world. In 1942 he surveyed some of the bauxite deposits of south Gippsland, paying particular attention to geological mapping and to laboratory studies that threw much light on constitution and origin. He differed from his co-authors, Raggatt and Owen, in considering that two of the deposits, Childers and Nahoo, occur below the older basalt, whereas Raggatt and Owen considered that all the deposits lie above the older basalt. Hills found that the bauxite was crystalline gibbsite plus amorphous material as banded, buff-colour colloform masses and as pure white concretionary nodules. He showed the bauxite to originate from clastic stratified rocks, volcanic ashes and tuffs, the pyroclastic representatives of the older volcanic lavas in all but the Nahoo deposit (laid down in a lake). He discussed the mineralogical and chemical changes during the bauxitization, and thought they were possibly related to close association with Yallournian lignites. In 1947 he published his first paper on metalliferous geochemical zones in Australia, giving spot maps showing the recorded occurrences of minerals that contained a particular metal as an essential or important constituent. The occurrences of ore minerals are progressively younger eastwards. In 1946 Hills began his first international administrative undertaking by acting as an Australian representative at the Royal Society Empire Scientific Conference held in the U.K. He was a member of steering groups for the discussion of land utilisation and a co-ordinated survey of the mineral resources of the Empire. He saw a need for a large-scale survey and pressed for more up-to-date methods. He thought the need in Australia then was for reducing the restrictive pressures on Australian States that were being applied to reduce staff and to cause staff to devote nearly all their time to economic minerals. He pressed for regional geological mapping and for laboratory facililties. Perhaps this had some effect on the nascent Bureau of Mineral Resources, which developed along these lines. He also asked for support for geochemistry. In papers given in 1957 and published in 1961 on Pacific influences on tectonics in eastern Australia, he saw Australia and New Zealand as forming part of the continental crust between Western Australia and New Zealand, without translation by E-W movement since Upper Proterozoic time. Australia is composed of a series of ancient, truly Archaean nuclei, framed with younger geosynclinal zones from the Lower Proterozoic; as in the Shield, there is a partial immobilization of these as a result of orogeny, igenous action and ore-genesis of pre-Upper Proterozoic date. Within the shield, then, there are zones, especially the hydrothermal ore zones, that correspond with the framing zones and likewise with the Lower Proterozoic geosynclines. This broad picture may be affected by a further consideration - highly soluble elements such as uranium and lead may be remobilised by quite small rises of temperature under hydrothermal conditions, or even by weathering, and may thus be expected to occur rather widely disseminated and also in quite young rocks. In his 1961 paper on tectonics and ore deposition published in 1964, he expressed himself as eclectic in his view of ore deposition, which he regarded as possible in numerous syngenetic and epigenetic ways. But for many ore-bodies he thought there was a genetic relationship, however complex, with igneous action, with regional tectonism and with local structure: 'we have to recognise that ore-bodies may be found in many different places, in many different structures; we don't know too much about the ore-fluids, and it is essential that we keep open minds'. However, observations that many mining areas occur near or at the intersections of the orthogonal lineament network described by Hills have been made by O'Driscoll and by Heidecker among others. O'Driscoll(11) showed that in the West Australian Yilgarn Block, all four first-ranking nickel deposits are located on strong WNW regional lineaments, conspicuously visible in geophysical data and high-frequency photo-lineaments. In copper exploration, Western Mining Corporation undertook a lineament and tectonic study of the South Australian Stuart Shelf according to the combined prescriptions of geology, geophysics and tectonics (photo-lineaments, geology, aeromagnetic and gravity data); this found major NNW lineaments of the kind Hills had presaged, and the recognition of the Olympic Dam copper deposit, among others, followed. O'Driscoll's(12) successful use of lineaments in exploration thus emphasises their great importance. Heidecker(13) noted similarly a spatial relationship between ore-bodies and lineaments in north Queensland. In 1950 UNESCO set up an advisory committee on arid zone research and Hills was requested to prepare on contract a report on the hydrology of arid and sub-arid Australia, with special reference to underground water and with extensive bibliographies. This gives an excellent assessment of the then state of knowledge. In 1951 he was invited by CSIRO to be one of three Australians on the UNESCO Advisory Panel on Arid Zone Hydrology and Hydrogeology; this led to his considerable involvement in Afro-Asian arid zonal work. He attended the third session of the Advisory Panel in Ankara in April 1952, and at the symposium there he presented 'Underground water as a factor in geological processes'. He went on to another symposium held in Jerusalem in May 1952, with a paper 'Regional arid geomorphic patterns in relation to climatic types in dry areas', using the climatic systems of Koeppen and Gentilli. In July 1953 he accepted appointment as UNESCO expert in arid zonal research under the Technical Assistance Programme, went to Paris for a short briefing and then on to Egypt as adviser to the Fuad I Desert Research Institute. He worked in Egypt with visits to Syria, Lebanon and Israel, gaining a sympathetic appreciation of the difficulties of scientists working single-handed in this inhospitable climate complicated by difficult international relations. He spent a week in Java on his way back to Melbourne early in 1954. Some of his impressions are set out in his short note on 'Geology in the Near East'. In 1956, Australia was host country for the meeting of the Arid Zone Research Committee of which Hills became a member. The committee held one meeting each year, which he attended, giving up three to four weeks annually away from Melbourne. In Karachi in 1957 he was appointed chairman; in 1958 the meeting was in Madrid, where the committee assumed that the Arid Zone Major Project would terminate at the end of 1962, having achieved its main objectives in encouraging survey and research in the zone. From 1962 to 1971 Hills was Academy Member of the National Sciences Advisory Committee of UNESCO. He noted in 'Australian Arid Zone Research' that much research and other effort was expended on Australian semi-arid areas. His paper on the 'Stranded coastal foredunes of northern Egypt and their erosion by rain-wash', given to the Karachi Symposium on Soil Erosion and its Control in Arid and Semi-arid Zones, appeared in 1961. In 1962 Hills commented on the Arid Zone Programme and gave a good outline of its achievements as a major project in its area - from North Africa and the Middle East to Pakistan and India. Thus his sane unemotional common sense and well-informed guidance was available to and used in arid zone fields over a long period. A no. of chapters in books resulted from Hills' arid zone work. He wrote the foreword (as Convener) to the Water Resources and Management Symposium held by the Australian Academy of Science at Canberra in 1964. He also edited Arid Lands to which he contributed the foreword and chapters on 'Arid lands and human problems', 'Geomorphology' (with G.D. Ollier and C.R. Twidale), 'Industrialisation', and 'Research and the future of arid lands'. In 1969 he contributed a chapter on the history of the world's arid lands in Arid Lands in Australia sponsored by the Academy. Finally, as an elder statesman, he discussed 'The delineation and classification of semi-arid lands' in Frontiers of the Semi-arid World - a symposium held at the International Centre for Arid and Semi-arid Land Studies, at Texas Technical University, 1974. His examples were mainly from Australia and included sub-humid regions. He noted that removal of trees (blue-gum) from swamplands then used for wheat-growing had caused salinization. Hills emphasized the importance of geological history in land use mapping of soil characteristics. Geological maps in many places show that vegetation boundaries are almost exact replicas of the geological. He stressed the value of the genetic (geological and geomorphological) approach. In his writings on arid lands, using the simple language of the practised teacher, he showed considerable understanding of their effects on humans. His knowledge of the literature, as with everything on which he wrote, was encyclopaedic. His efforts will surely have contributed to increasing the profitable use, with conservation, of the arid and semi-arid lands. Hills played a considerable part in getting these arrangements made. He continued his interest as chairman of the National Committee on Hydrology, 1959-1968, and member, 1969-1975. Late in 1963 the Academy held a symposium on water resources, use and management supported by UNESCO, and Hills supplied a foreword to the report. In 1964 he was chairman of a meeting in Paris, at which aims were formulated for the International Hydrological Decade by experts from the member states of UNESCO; these were approved by UNESCO General Conference late in 1964. In Australia, an interim committee was formed for the Decade programme and became the Australia-UNESCO Committee for the International Hydrological Decade 1964-1974 with Hills as convener and later chairman. He introduced the Decade to the Australian public in two short notes. He gave the inaugural address to the Victorian Chapter of the International Institute of Hydrologists in 1984. Hills' reviews of underground water have been mentioned in the previous section. He also wrote a chapter on the physiographic setting for The Murray Waters. His expert knowledge and level-headed assessments were very helpful to the development of Australian water resources. Hills followed E.W. Skeats and H.S. Summers into the chair of geology at Melbourne in 1944. For a no. of years he gave the complete first-year lecture course as a coherent and exemplary introduction, in which he deliberately mentioned most things a second time in a different context to their main presentation. This was thought by people who attended them to be far more effective than the unit courses in vogue today. Post-war expansion of the Australian universities was used by Hills to improve his department in many ways. Materially, he obtained substantial building extensions that included a new library and workshop. He was impressed by the growing importance of modern instrumentation in petrology and by the relatively new topics of geophysics and geochemistry. By 1949 the workshop had constructed among other things an X-ray diffraction unit, diamond saws, a DC arc emission UV spectrograph for trace element analysis and, with support from the CSIR Division of Industrial Chemistry, one of the first thermo-gravimetric units for quantitative clay mineral analysis. His plaster models of Australian physiography continued to be constructed in the workshop. The Mineragraphic Section of CSIR was rehoused in a new building. Hills had inherited the Section from Skeats who, impressed by the then new science of mineragraphy, had in 1924 had F.L. Stillwell appointed a Research Fellow, with subsidies from the mining industry and finance from the Prime Minister's Department. When CSIR was started in 1927, Stillwell was placed on its payroll but continued to receive subsidies from industry; A.B. Edwards joined his staff in I932. Hills had Edwards appointed part-time lecturer in economic geology also. Edwards was an outgoing helpful man and an asset to the department in his easy rapport with research students. He at one time indicated to Hills that the mining companies were prepared to support a chair in economic geology; Hills is said to have replied that he was not interested in a second chair in his department. Indeed, second chairs had scarcely become the mode at the time. Hills did however expand the numbers of his staff, both lecturers and technical assistants. He did not succeed in building a brilliant staff. Two of his earliest appointments, Curt Teichert and Emile den Tex, were rapidly lost to chairs in other places. Another early appointment was that of Arthur Wilcock in geomorphology, opening the way for the establishment of a Geography Department into which Wilcock transferred when it was eventually founded. His appointment in the Geology Department achieved an increase in the no. of teachers trained in geomorphology and entering the Victorian schools, and an increase in the no. of first-year students in geology at the University. Hills supported research in the department through a scheme that is outlined below in the description of his relationship with the Geological Survey of Victoria. This supplied a stream of field-orientated researchers. He was never interested in collaboration in research, and he never had a research student working with him on his own research. He did have a research assistant. At first this was Miss Beryl Langham, who did most of the literature research for the relief model of Australia. She was followed by Miss Cecily Finlay from 1949 to 1971, funded by the University. She noted new information for the relief model, then became occupied with literature searches on specific aspects of Hills' long-term research interests, chiefly tectonics, making summaries or plotting data or making sketch maps. When asking her to look for information on a specific subject, Edwin would explain and discuss his lines of thought and leave a few scribbled words as a memory aid, which surprisingly conveyed all the necessary information. Sometimes the lapse of time before he came to discuss the results of any one of them was very great. It was both interesting and a pleasure to work with him. Hills was a very able administrator. His ability to get to the heart of the problem and to form a solid opinion about how to deal with it, as well as a marked capacity to forward matters to a conclusion, were splendid assets. He never raised his voice or otherwise showed anger. He was never pompous, though aloof he could be when trivialities were consuming time. From his school days he insisted on winning. He was Dean of Science 1947 48 and Chairman of the Professorial Board and Pro-Vice-Chancellor 1959-61, during which time it was decided that a Deputy Vice-Chancellor should be appointed to reduce the load on the Vice-Chancellor. Edwin was the natural choice and was appointed in 1962. I asked him once why he had deserted the intellectual delights of research for administration, and he replied matter-of-factly, 'I thought I could do a good job for them'. Indeed, his sense of duty was very strong. For a while he continued as head of department, but by 1964 had accepted a research professorship while C.M. Tattam was appointed to the chair. As Deputy Vice-Chancellor, Hills had special responsibility for staff matters and recognised the need for adequate administrative resources and for documentation of procedures. He pressed for the establishment of a distinct Staff Branch within the central administration and this was achieved in 1965 as part of an administrative reorganization that was fully implemented in 1966. He instituted many new systems and initiated a Guide to University Staff Procedure. He also played a major role in academic planning and in the review of procedures for appointment to chairs. He was chairman of the Staff and Establishment Committee and undertook responsibility for staffing matters, especially in the academic areas. He helped greatly in seeing the University through very difficult times from the middle 'sixties, when financial restraints exerted pressures. Hills felt much frustration in trying to innovate against the very strong forces for conservatism at Melbourne University, but he managed to stake out the staff area in which he could manoeuvre. He retired in 1971. He was a member of the Australian Research Grants Committee in 1967. 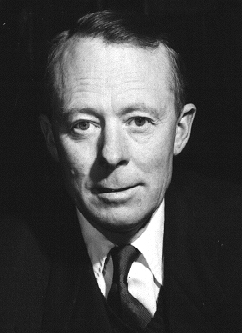 Hills took overseas leave from April to October 1960, with his wife, visiting universities, geological research organisations and museums in Europe and the British Isles, in Great Britain under the auspices of the British Council. He received the Hon. D.Sc. of the University of Durham. He attended a symposium on igneous ring complexes, delivered the William Smith Lecture to the Geological Society of London, and visited the geological laboratories of the University of Paris. In July he represented the University of Melbourne at the Tercentenary Proceedings of the Royal Society and worked on fossil fish at the Stockholm Museum. He attended the International Geological Congress in Copenhagen in August and was appointed a member of a committee to compile a dictionary of tectonic terms. He also visited the newly established geology department at Chulalongkorn University in Thailand. He had his first and only full-year sabbatical leave with Mrs. Hills in 1968, at a time of unrest overseas. He visited universities and scientific institutions in Indonesia, Burma, Ceylon and Iran, where Gordon Williams was in charge of new geological and mineralogical laboratories. He spent six weeks in Paris, lecturing in French, largely on his Australian researches, just before the student riots. In Moscow he gave a similar series at the University of Moscow and received the Lomonosov Medal. In Paris he led an Australian delegation to a postponed meeting of the International Council of Scientific Unions, of which he was a member of the Commission on the Teaching of Geology (chairman 1977-78). He went to Prague as the Australian and University of Melbourne delegate to the 23rd International Geological Congress, but like other delegates left early owing to the Russian occupation; he then worked on fossil fish in Nurnberg. A visit to the Yugoslavian coast followed. Back in London, he was inducted a Fellow of Imperial College. On his first visit to the Americas, he lectured at Harvard, the Massachusetts Institute of Technology, Boston State College and several other institutions. He noted, in his report to the University of Melbourne on this leave, that combined operations by several institutions in major projects received massive support from the National Science Foundation. There seemed to be a remarkable ability to match individual brilliance with willingness to co-operate in joint work. This was perhaps his first introduction to group research. He lectured in Peru, Argentina and Brazil, then flew home via the U.S.A., Hawaii and Fiji. His university should have profited from his experiences and observations on which he commented thoughtfully in his report. After his retirement Hills delivered a series of lectures at the Aligarh University in northern India, on his way home from the International Geological Congress at Montreal in 1972. In the 'thirties and 'forties, when Hills was very active in field-work, he had co-operation with and assistance from the Geological Survey of Victoria under W. Baragwanath. By 1944, when D.E. Thomas became the Geologist to the State Rivers and Water Supply Commission, he and Hills had become close friends. They discussed Hills' cauldron subsidence work and Hills permitted Thomas to make use of his findings, as they then were, in Thomas' mapping for his Eildon Dam memoir. (16) Both men were interested in structural geology and they published joint papers on the graptolite-bearing slates of Victoria. Thomas replaced Baragwanath as Chief Government Geologist in 1946 and increased staff from 3 to 25. Most of the new junior staff were Melbourne graduates taught by Hills. By the early 'fifties there was a sound framework in Victorian geology for the younger men to build on. An agreement was made between Hills as Professor and Thomas as Chief Geologist to enable members of the Survey to submit completed work to the University for examination for higher degrees. By the mid-fifties this arrangement was extended to candidates for Ph.D., providing the two-year residence and supervisor requirements were satisfied. Thus the young graduates were encouraged to complete major works in stratigraphy, structural geology, palaeontology and hydrology and to submit theses for examination. It was a very productive arrangement and resulted in a steady stream of Master's and Doctor's theses over nearly three decades. It ensured a continual supply of post-graduate students at the University, and maintained a close link between the Survey and the Geology Department. It also provided a flow of first-class work from the younger members of the Survey that was usually published as a Survey Memoir. Geologists who obtained PhDs under it were J.A. Talent, A. Carter, D. Spencer-Jones, J.J. Jenkin, J.G. Douglas, C. Lawrence, B. Thompson and P. Macumber. Even when Hills was Deputy Vice-Chancellor he could always be approached by the determined among these students to have a short but productive discussion. The scheme was continued by Professors Tattam and Lovering, but budgetary restraints and possibly attitudes of senior public servants to scientific research seem to have stopped it in recent years. Of recent years he maintained contact with several Survey geologists who were doing high-standard work that caught his interest. He liked their field-orientated work which was close to his own methods. Many Master's theses were accepted by Hills in his capacity as referee for the Royal Society of Victoria for publication in the Society's Proceedings. Another arrangement begun by Hills and Thomas in the 'fifties that benefitted students was the establishment of field-camps over the summer vacation. The students worked in various sections of the Survey to gain experience. In the late 'sixties and early 'seventies when geoscientists were in short supply, the Public Service Board funded a cadet scheme to put geology students through their final and Honours years. This scheme also was very productive but lately has not received Treasury approval. After the 1939-45 war there was a general feeling that Australia should have its own Geological Society, and at the Brisbane meeting of ANZAAS in May 1951 a meeting was convened to study the feasibility of this. Those present constituted themselves the Geological Society of Australia; E.S. Hills was appointed Chairman with C. Teichert as Hon. Secretary and it was agreed that a formal constitution should be drawn up and submitted to a meeting at the next ANZAAS Congress. This was prepared by Hills, Teichert and J.T. Jutson and was adopted after amendment at the Sydney Congress in 1952. A provisional committee for 1952-53 was appointed, with Hills as chairman. Hills addressed the inaugural meeting of the Victorian Branch of the Society in March 1953 on 'The place of geology in the national economy'. He indicated that one of the Society's aims should be the production of a tectonic map of Australia. G.D. Osborne had proposed in 1946 that ANZAAS prepare such a map; in 1955 the project was transferred to the Geological Society with A.H. Voisey as convener, followed by Hills in 1957. A succession of meetings of State Tectonic Map Committees was arranged and in later stages co-ordination was achieved by the Bureau of Mineral Resources, which drew the final map and printed it in time for the 1960 International Congress, where it was displayed. Hills wrote the foreword to Geological Notes in Explanation of the Map of Australia. At the Congress he was appointed convener for the preparation of the tectonic map of Oceania. For his services to geology he was honoured by Her Majesty, Queen Elizabeth II who made him a Commander of the Order of the British Empire. The Geological Society of Australia awarded him the first W.R. Browne Medal in 1979. Hills became a Fellow of the Geological Society of London in 1930. He received the Wollaston Fund Award in 1942 and was Bigsby Medallist in 1951. He gave the William Smith Lecture in 1960, on 'Morphotectonics and the Geomorphological Sciences with special reference to Australia'. He was elected an Honorary Fellow in 1967. Hills was also a member of the Geologists' Association from 1929. Hills was elected to the Fellowship of the Royal Society of London in 1954 on the basis of his work to that date - on fish, the central Victorian igneous complexes, and his physiographic and structural work. In 1946 he was an Australian delegate to the Royal Society Empire Scientific Conference. He also represented the University of Melbourne at the Royal Society Tercentenary celebrations in 1960. He was elected a Member of the Royal Society of Sciences of Uppsala in 1985. Hills was a Foundation Fellow of the Australian Academy of Science. He gave to it much of his time and energy. He was a member of Council 1961-63, and Vice-President, 1963. His major contribution was in his extensive committee work. His time-consuming work on hydrology has been detailed above in the section on Hydrology. Following on his work for UNESCO on the Arid Zone, he represented the Academy on the Natural Sciences Committee of the Australian National Advisory Committee for UNESCO (1962-71). He also played a part as a member of the Sectional Committee for Geological Sciences of the Standing Committee for International Relations (1962-63), the National Committee for Geodesy and Geophysics (1959-65; 1970-71); and the National Committee for Geological Sciences (1962-74). His expertise was available as a member of the Science and Industry Forum (1967-75) and he represented the Academy on the Great Barrier Reef Committee (1959 63). In 1964 Hills was one of a four-member Academy team to visit China as guests of Academia Sinica, during which time they inspected institutions under the control of Academia Sinica and discussed the possibility of continuing scientific contacts between Australia and China. There was a return visit in 1965. The cultural revolution then interrupted arrangements until 1973, when they were resumed. The Academy established an ad hoc committee in 1969 that led to the formation of a committee, of which Hills was a member, on the quality of the environment. It met in May 1970 and recommended a Royal Commission. Shortly afterwards, the Government established an Office of the Environment in the Prime Minister's Department. The committee later advised that there should be an Advisory Council of the Environment with both Commonwealth and State representatives. Edwin served on these committees 1970-74. A National Committee for Quaternary Research was set up and was chaired by him 1970-78; he reverted to membership in 1979. Thus he was continuously available and helpful to the Academy in its formative years. Hills was President of Section P (Geography and Oceanography) of the Australian and New Zealand Association for the Advancement of Science (ANZAAS) in 1947, and President-Elect of Section C (Geology) in 1959. He was a member of the Advisory Committee from 1958 onwards. He wrote reports for various of its committees and chapters for its Victorian Handbooks. The Royal Society of Victoria claimed much of his attention. He enrolled when a student in 1928, and was a member of Council and of the Development Committee 1945-61, President in 1955-56 and Trustee 1959-78. As secretary or chairman of the Editorial Committee 1947-56 he exerted great influence on the standard of publications and as sole referee on geological papers for many years he made the Proceedings notable for the no. and quality of its geological contributions, especially those of his students. Hills was a Trustee of the National Museum of Victoria 1947-58, Deputy Chairman of Trustees 1961, and Chairman 1962-68, Trustee again in 1969-70, and Councillor 1971-78. He was a member of the Australian Institute of Mining and Metallurgy from the 'thirties but resigned on a matter of principle. He was opposed to the 'closed shop'; the Institute was insisting that independent geological reports relating to mining or exploration should be written by members. He was also an Honorary Member of the Australian Institute of Geographers. Hills was probably the most widely known and highly respected Australian geologist of the 'forties, 'fifties and 'sixties. He had exceptional qualities; his ability to go straight to the heart of any problem combined with very orderly thinking enabled him to work very quickly to arrive at conclusions, which he upheld until he could convince himself of a logically better explanation. Born before the 1914-18 war, his world for half of his life saw Great Britain and Europe as the mainspring of knowledge, energy and power. His university world was hierarchical, with the professor all-powerful in his department and universities places where students were provided with the necessary teaching and research facilities and for the most part left to develop their own futures by using their own qualities, as he himself had done. He saw geology as a unit, he taught in all branches, and in his researches he used evidence from several in developing main conclusions in one. He was also innovative. He brought his researches on fossil fishes, physiography, mineralogy and petrology, structure, tectonics and morphotectonics, and economic geology into the top levels in the late 'fifties. From then onward he became increasingly engaged in university higher administration and in national and international development - a very influential figure. Modern specialisation probably means that we shall not see his like again. I wrote to many people for assistance with this memorial; all gave helpful advice and accounts. I am particularly grateful to Mrs. Doris Hills, who sent me much material and answered my many questions. She also read and suggested amendments to the drafts on his earlier years. Hills' letters and papers are still in her house at Kew, but are to be catalogued by Gavan McCarthy of the Australian Science Archives Project at the University of Melbourne. Professor K.S.W. Campbell F.A.A. kindly assisted with the draft of 'Fossil Fishes' in the light of his specialist knowledge. Bruce Cozens of Kew, Melbourne supplied useful information and Dr. A. Ewart of the University of Queensland gave me considerable help with the Petrology and Mineralogy section. In addition the following supplied helpful information and appreciation: - Miss Cecily Finlay, CSIRO, North Ryde; Dr. N.H. Fisher, retired from the Bureau of Mineral Resources; M.J. Garratt of the Department of Industry, Technology and Resources, Victoria; Emeritus Professor M.F. Glaessner F.A.A. of the University of Adelaide; C.R. Lawrence, Acting Deputy Director of the Department of Industry, Technology and Resources, Victoria; J. Leonard, secretary of the Australian National Chapter of the International Association of Hydrogeologists; Prof. J. Lovering F.A.A. of the University of Melbourne; Dr. J. McAndrew of the CSIRO Division of Mineral Physics and Mineralogy; M.A.H. Marsden of the University of Melbourne; Dr. E.T.S. O'Driscoll of Western Mining Corporation, Adelaide; Dr. Mary Playford of Brisbane; Prof. G.M.Philip of the University of Sydney, Dr. D. Spencer-Jones of Balwyn, Victoria; Sir James Stubblefield F.R.S. of London who gave me useful information particularly about post-graduate days in London; Associate Professor J.A. Talent of Macquarie University, Sydney; the late Emeritus Professor C.M. Tattam and Mrs. Tattam of Melbourne, who also obtained helpful material for me from others; Emeritus Professor J.S.Turner, F.A.A. of Castlemaine, Victoria; Dr. Susan Turner-Thulborn of the Queensland Museum, Brisbane; Associate Professor C.R. Twidale of the University of Adelaide and Mr. Arthur Wilcock of the University of Melbourne. (1) Campbell, K.S.W., et al., eds., 'Evolution and biogeography of early vertebrates', Proceedings of the Linnean Society of New South Wales, 107 (1984), 147-473. (2) Cotton, C.A., Geomorphology of New Zealand, Part 1. Systematic: an Introduction to the Study of Land Forms (Wellington: Dominion Museum, 1922). 462p. (4) Jenkin, J.J. 'Evolution of the Victorian coastline', Proceedings of the Royal Society of Victoria, n.s., 92 (1981), 37-54. (5) Edwards, A.B., 'The geology and petrology of the Warburton area, Victoria', Proceedings of the Royal Society of Victoria, n.s., 44 (1932), 163-181, pl. 17. & 'On the dacite-granodiorite contact-relations of the Warburton area', Proceedings of the Royal Society of Victoria, n.s., 44 (1932), 182-194, pl. 18-19. (6) Thomas, D.E., 'The geology of Eildon dam project', Memoirs of the Geological Survey of Victoria, 16 (1947), 57pp., 12 plans. (7) Edwards, A.B., 'The rhyolite-dacite-granodiorite association of the Dandenong Ranges', Proceedings of the Royal Society of Victoria, n.s., 44 (1932), 182-194, pl. 18-19. (9) Cozens, Bruce, Letter to D. Hill, 25 August 1986. (10) Cozens, Bruce, Letter to D. Hill, 25 August 1986. (11) O'Driscoll, E.S.T., 'A broad-scale structural characteristic of major nickel suophide deposits of Western Australia', Economic Geology, 76 (1981), 1364-1372 & 'Structural corridors in Landsat lineament interpretation', Mineralium deposita, 16 (1981), 85-101. (12) O'Driscoll, E.S.T., 'Broken Hill at the cross roads', Australasian Institute of Mining and Metallurgy. Broken Hill Conference 1983 (Parkville, 1983), 29-47. (Conference series no. 12) & 'Observations of the lineament-ore relation', in H.G. Reading, J. Watterson and S.H. White, eds., 'Major crustal lineaments and their influence on the geological history of the continental lithosphere: a discussion organized by Janet V. Watson (et al. )', Philosophical Transactions of the Royal Society of London, A, 317 (1986), 195-218. (13) Heidecker, E., 'Technical note - Lineament guidelines to mine development: a continuing case history, north-eastern Queensland', Proceedings of the Australian Institute of Mining and Metallurgy, 291 (1986), 67-69. (14) Australian Academy of Science, The First Twenty Five Years (Canberra, 1980). 286pp. (15) Australian Academy of Science, The First Twenty Five Years (Canberra, 1980). 286pp. (16) Thomas, D.E., 'The geology of the Eildon dam project', Memoirs of the Geological Survey of Victoria, 16 (1947), 57pp., 12 plans. This memoir was originally published in Records of the Australian Academy of Science, vol. 7, no. 1, Canberra, Australia, 1981.